When we start toting up our assets, it’s easy to forget about your greatest asset, which is your human capital. You might be surprised to consider that you are a great asset, but the truth is that the way you manage your career and your money can make a big difference in how successful you are down the road. At its most basic level, human capital is the sum of your knowledge and skills. It’s everything that makes you marketable as a person, and that allows you to earn money. There are other layers to human capital, but at its core, your human capital is the combination of talents and knowledge that you have — and the way you put it to work, whether you are using it in a side business, or whether you are using it to climb the career ladder. 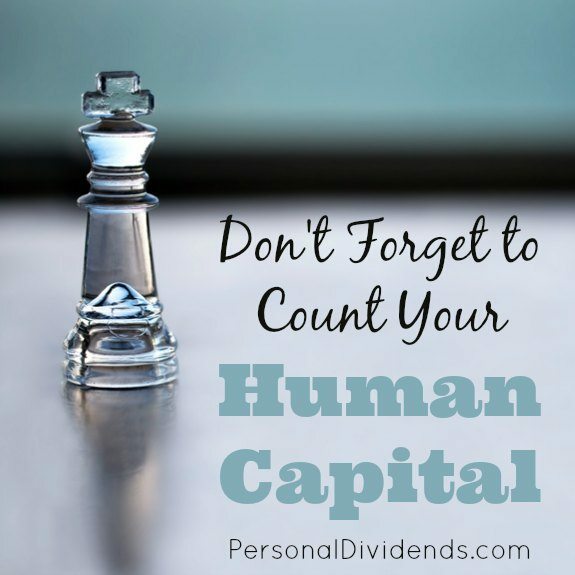 It can be difficult to figure out the value of your human capital. While it’s tempting to just look at your salary and assume that works as a measure of the “worth” of your human capital, the reality is that your human capital is so much more than what “the boss” is willing to pay you. Don’t forget that your human capital also includes your abilities and your knowledge. This means that part of your value is also in the way you use what you know. One of the most valuable things you can do is learn how money works, and learn how to put money to work for your advantage. Understanding the way money works — particularly how to earn interest rather than pay it — can help you manage your assets to best advantage, getting the most out of every dollar. You can also include the skills and knowledge you have that allow you to start a side business to earn more money. If you are going to school to learn a new skill that can help you get a promotion at work, that is also part of your human capital. When you add up your human capital, don’t just assume that it stops at what others are willing to pay for you. Realize that you can build on your personal assets of skills, expertise, and knowledge, and that is valuable itself. Take an honest look at your capabilities, and also consider what you can do to expand those capabilities. Once you realize that you can improve your situation, you will be on your way to realizing how valuable you could be over time. Once you tote up your abilities, and realize that you can use them to increase your value to your boss, as well as your increase the way you earn money on your own, it’s time to put your human capital to work. Use the skills you have to advance, whether you start a side gig, network with others who can help you move forward, or whether you decide to ask for a raise or promotion. Identify the ways you can add value to what you’re doing, and then do it. You might be surprised at how valuable you really are.